No home will be devoid of mess. No matter how much time is dedicated, how much money is spent, no matter the size or price of a home, it will still accumulate dust and dirt, things will move from their proper place and items can be scattered across each room. Cleaning everything up, dusting and polishing can make everything look better again but it will soon deteriorate and the never-ending process begins again. Finding the time to constantly clean a home to high standards can be difficult, as we all have social, work and family obligations to attend to. This means you have to give up free time to get it all done or rush through it, which will give sub par results. If you want your home to stay clean while never needing to devote countless hours doing it, while it is done to the highest standard, all you have to do is call House Cleaning Services now on 020 3770 8836 and our cleaners in London can do it for you. Our operators are there for you and will be happy to assist you in any way possible. 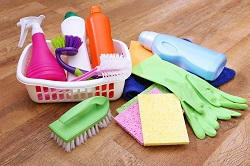 They will gladly answer all your questions about cleaning your home and what we can do for you. They will fill you in on all of our London cleaning services and tell you about our flexible approach. People need different things so that is why we want to be unique to each person. We can send a team or an individual to your address, depending on how much cleaning you have, or how quickly you want it completed. They can come as often as you like whether it’s one day a week, a few times a month or even several times within a week. We can also do one-off jobs if you need to get your mess to a level you can handle or you’ve had an event such as party, have just moved in or you want your home clean for new residents. In our effort to be accommodating, we can just give you tips and information on your house or office cleaning when you call on 020 3770 8836 for a free quote, so you can get a better understanding of how to clean your home, which should make the whole process simpler, quicker and give you a better result. If you do elect to hire any of our staff you are in for a treat because they are the best of the best. They are trained and experienced people who know the ins and outs of the trade, allowing them to give you a superior result. They know the techniques and will have the best materials, so no job will be beyond their capabilities. They are also friendly and helpful, eager to oblige to your desires and will give you the answer to any questions. They are trustworthy and hardworking so you should have no qualms about them working in your home. This especially applies if you let them work when you are not present, which allows you to take care of other matters and return home to a spotless abode. No matter what the mess is in your house, your team of London cleaners will see to it. You may want to handle things yourself but our team will take care of everything to the greatest degree. Our team will see to everything, including floors, carpets, rugs, windows, ornaments, furniture, clothes, electronics, furnishings, utensils, small goods and much more. They will wipe, polish, dust, sort, scrub, arrange and more until your home is perfect. These are the advantages of hiring House Cleaning Services so hire us today by calling 020 3770 8836. Copyright © 2012 - 2015 House Cleaning Services Ltd. All Rights Reserved.